Compact and Powerful, the new Modulating Zone Valve actuator from Spartan is now selectable between 0-10Vdc, 2-10Vdc and 4-20mA outputs. The ME4340 is ideal where greater flexibility is required – one product converts to all three ranges. These actuators can be mounted on a large range of valve bodies, 2 ways or 3 ways with different connections in ½”, 3/4” and 1” sizes. Fluke Corporation, the global leader in handheld electronic test and measurement technology, announced that two leading publications in building management and operations have recognized the Fluke 922 Airflow Meter / Micromanometer for its capabilities and its popularity among readers. The staff of Buildings magazine named the Fluke 922 Airflow Meter among the top 100 products for 2008. Editors said that “This rugged tool provides powerful solutions for maintaining optimum airflow balance.” The Fluke 922 “combines differential pressure and air velocity and flow measurements into a single meter for ventilation monitoring and diagnostics applications in the field. The product allows technicians to enter duct shape and dimensions to maximize measurement accuracy,” they added. The Fluke 922 also won a 2008 Readers’ Choice Award from Building Operating Management Online and FacilitiesNet. The Fluke 922 was one of the 81 most popular products among more than 1,200 that appeared in the publications over a 12-month period. The awards are based on the inquiries products received from facility executives browsing the Web site’s new product pages during that time. NetworkThermostat™ is proud to announce the introduction of its Net/X Network Thermostat family with N2 protocol and five versions of remote sensors. Designed for new, retrofit and replacement applications, two models handle both conventional gas-electric and heat pump systems. The GE22-N2 thermostat is a Gas/Electric model which can control one or two stages of heating and cooling and is a direct drop-in replacement for the Johnson Controls™ TEC1101-1 and TEC1103-1 N2 thermostats. The HP32-N2 thermostat is a Heat Pump model which can control up to three stages of heating and two stages of cooling, and is a direct drop-in replacement for the TEC1102-1. The HP32-N2 works with both standard and dual-fuel heat pumps. By adding the optional NT-ODT outdoor sensor, the HP32-N2 will also employ high and low balance points for additional control in cold weather applications. Other sensors include the NT-IDS indoor sensor, NT-DUCT return air sensor, NT-SUPPLY supply air sensor and the NT-FS flush mount sensor. 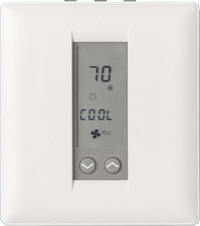 For more information and purchasing, visit www.networkhvac.com and click on ‘Network Thermostat Systems’. Critical Environment Technologies New! First to market BACnet gas detection transmitters. BST series BACnet transmitters use electrochemical, solid-state, catalytic and PID sensors to detect a wide range of gases accurately and reliably. The BST series transmitters connect to a BACnet MSTP network and provide gas concentration data and alarm notification. Baud rate is field adjustable from 9600 to 76800 bps. MAC address is easily changed with on-board dipswitches. Calibration is simple and easily performed in the field. BST transmitters have LED power and alarm indication. Options include digital display, watertight enclosure and on-board relay. 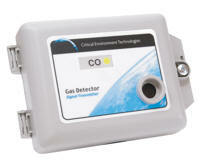 Gases detected include CO, NO2, Combustible gases, Ammonia, Chlorine, Ozone, Refrigerants, VOCs and more. The Multi-Tool is designed to consolidate several tools into one. It will work on most brands of thermostats, HVAC controls, electronic equipment, and any other item or device at work or home that the six insert bits will fit. This tool has a three position ratchet handle….twist the black upper part of the handle to the right will ratchet to the left, twist to the middle position will remain stationary, and twist to the left will ratchet to the right. The shank has a ¼ inch hex magnetic tip holder. There are six insert bits in the handle for easy storage and access. Moorpark, CA – Kavlico, a global business unit of Custom Sensors & Technologies (CST) and an operation of Schneider Electric, has recently introduced two new sensors which utilize Kavlico’s next-generation ceramic sensing technology. The P500 sensors can be specified with a brass housing for pressure ranges of 0-100 through 0-500 psi absolute or sealed gage or with a stainless steel housing for pressure ranges up to 750 psi. The sensors require a 5 Vdc power supply and provide a linear amplified analog output of 0.5 to 4.5 Vdc proportional to pressure. 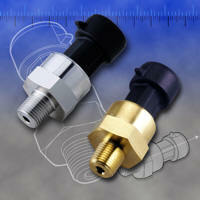 Ideal for high volume applications, these sensors are small in size yet quite robust by design. Capable of withstanding high overpressures, the sensors are temperature compensated, have excellent EMI/RFI and ESD protection as well as superior output signal stability. The sensors may be specified with an assortment of electrical and process connections including Schrader deflators for the refrigeration market. The sensors carry the CE certification mark as well as being compliant with European RoHS directives. For more information visit www.kavlico.com. Taipei, Taiwan—Moxa is pleased to announce the launch of the Remote Monitoring and Alarm theme site, which provides abundant information of how Moxa's intelligent Ethernet I/O can benefit building up an active remote monitoring and alarm system. With 21 years of expertise in producing industrial communications products, Moxa offers a wide spectrum of reliable and integrated solutions that are well-suited for applications of remote monitoring and alarm systems. Moxa's remote monitoring and alarm theme site shows how different products can be synchronized and integrated seamlessly to create a powerful remote monitoring and alarm solution. In addition, we collected 12 real case studies to give readers a clear idea of how to apply Moxa's products and solutions for their own applications. The solutions cover a diversity of applications, including environmental monitoring, energy services and power distribution, transportation, security and surveillance, facility management, and machine monitoring and productivity systems. The new serial device server enables secure, remote management of IT serial devices such as servers, routers, PBX systems, telecommunications equipment, serial-based power management appliances and more. The new Serial over the NET (SN3101) 3-in-1 Serial Device Server supports RS-232, RS-422, and RS-485 data transfers, as well as provides Ethernet connectivity for a wide variety of serial devices used in commercial applications. These applications include industrial control, data acquisition, access control, environment monitoring, banking, telecommunications, remote site management, among others. This all-encompassing serial data transfer system transforms the usability of legacy serial devices by enhancing them with the speed and reliability of the most current communications interfaces. MEDFIELD, MA. — August 29, 2008 – Comark Corporation, a leader in ruggedized computer solutions for the industrial, marine, building automation, and commercial markets, announces the addition of a new 42” LCD display/computer, with optional touchscreen, to their portfolio of large screen LCD products. 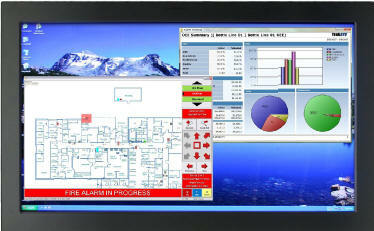 The 42” high-resolution LCD display/computer is designed to meet NEMA 12 standards when wall mounted, withstanding circulating dust, falling dirt, and dripping non-corrosive liquids. When panel mounted, it meets NEMA 4/4X requirements, withstanding falling dirt, inclement weather, hose-directed water and corrosion. The internal computer is available with a range of processor and memory options and is capable of running Windows or Linux based applications.